Chassis no. 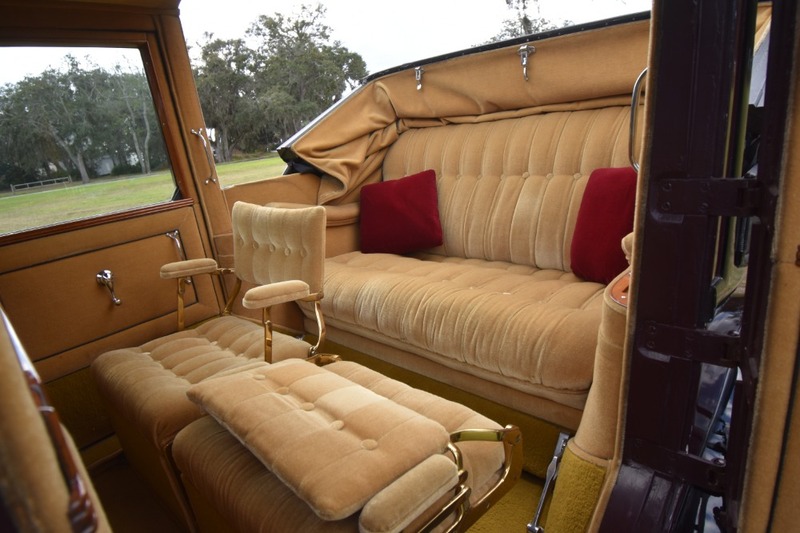 S243FP was one of 58 Springfield-built Rolls-Royce Phantom I chassis fitted with this particularly handsome and dignified formal coachwork, the St. Stephen, a traditional town car design with an open drivers compartment for the chauffeur. 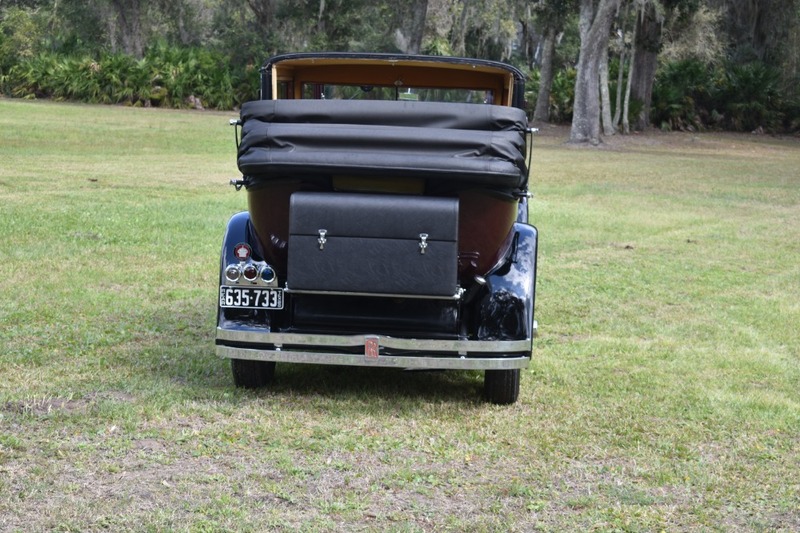 Like many of Brewsters town car designs for this chassis, it was available with or without a collapsible landaulet roof over the rear seat, in the fashion of horse-drawn carriages. This particular example is both mechanically strong and structurally very sound. 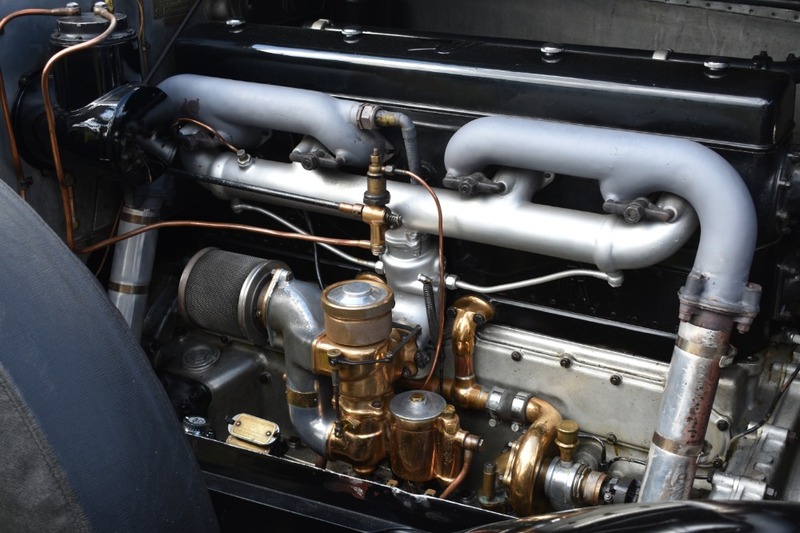 It's been recently driven and performs smoothly and quietly out on the road. It continues to show wonderfully and is ready for use and enjoyment. 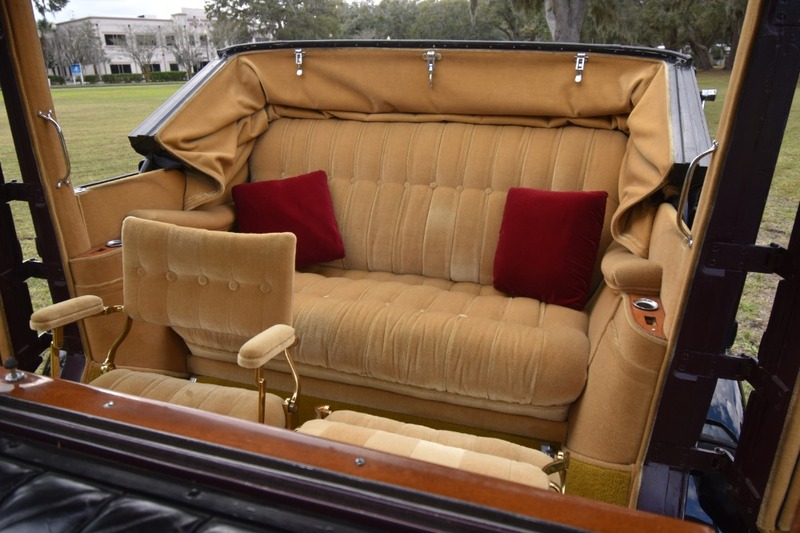 The original owner of this car, Lina Dolmetsch of Scranton, Pennsylvania, selected the landaulet roof. Heiress to a large lacquer paint and New York real estate fortune, she took delivery of the Phantom I on 9 October 1928. 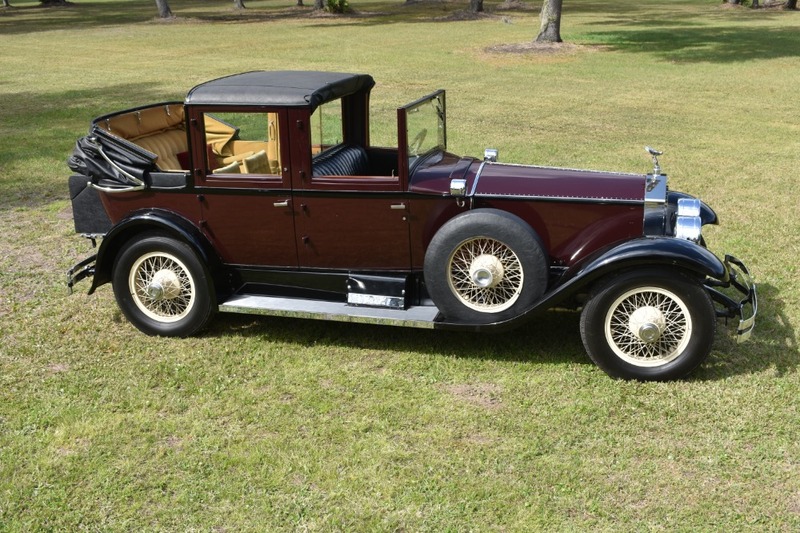 Subsequent owners are recorded by the Rolls-Royce Foundation as Charles R. Bradshaw of Delphi, Indiana, from 1951 to 1956, then Denver B. Cornett, Jr., and James Fogle, both of Kentucky. 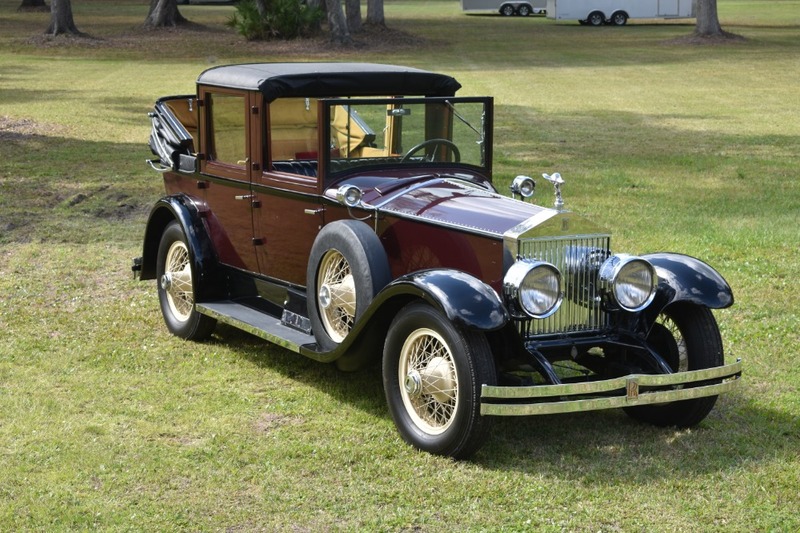 Jay and Berta Leon acquired the Rolls-Royce from pharmaceutical heir and well-known car collector, Burt Upjohn of Kalamazoo, Michigan, in 1975. The Leons proceeded to drive it home to Hubbard, Texas, and afterward used it extensively. 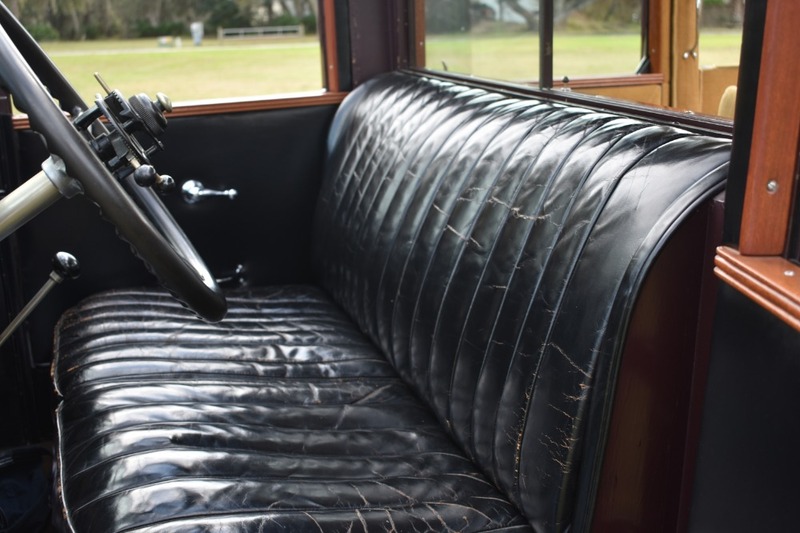 Well-preserved with a gentle patina of use throughout, the town car is still exceptionally handsome in its regal maroon and black finish, delightful touches such as heater grates in the floor, to warm passengers feet, and a beautiful clock in the division. 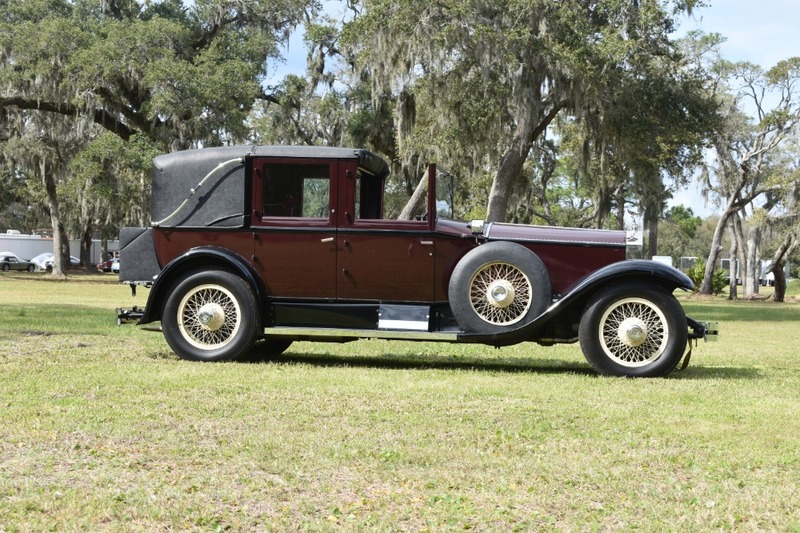 A spectacular opportunity to own a very special and rare Phantom I Town Car Landaulette.